See a list of Medical Technology Programs by Clicking Here! Medical Technology and Clinical Laboratory Science are exciting fields of study that are rapidly growing around the globe. The Clinical Laboratory Science degree track emphasizes lab sciences giving students essential skills in testing, research, and administration. Students in a Clinical Laboratory Science degree track will be exposed to a variety of programs that include: hematology, molecular diagnostics, toxicology, serology, immunology, human physiology, microbiology, and genetics. A Medical Technology degree program focuses on the analysis of medical tests and diagnosis of diseases. Medical Technology programs are science-heavy with emphasis on biological sciences such as organic chemistry and microbiology. Prospective students considering a degree in medical technology have a variety of options to consider. When looking for programs in a course catalog, programs may be listed as a medical technology degree, clinical laboratory science, allied professions, or a derivative of each. We have demystified the process and included all options in a single resource page. Below you will find a summary of certificate programs and degree programs in the field of study. Additionally, we have provided a quick link to connect to accredited colleges and universities to gather relevant information in your college quest. An undergraduate certificate program in medical technology is an entry-level program. It is designed to provide students with the essentials to begin a career in the field. Certificate programs can take students a year or two to complete based upon the school’s requirements and course load. Additionally, many colleges offer online learning options in addition to classroom-based programs. Online modality provides students the opportunity to continue working, flexible scheduling, and unlimited access to curriculum. Online associate degrees in the field are conferred as an Associate of Science (AS) or Associate of Applied Science (AAS). Associate degrees are 2-year programs of full-time matriculation with part-time students taking longer to complete. Classes in the AAS and AS degree track mix general education courses such as communications, philosophy, psychology, history, and math with core classes. The core classes in science, medicine, pathologies, anatomy, and clinical exposure will help students be prepared to launch a career after graduation. A bachelor’s degree in clinical lab science is conferred as a Bachelor of Science (BS). Classroom-based programs and online degrees in clinical laboratory science are designed to be 4-year degrees for full-time students. Much like the associate’s degree program, a bachelor’s degree melds liberal arts with core science classes to provide a well-rounded education. Bachelor degrees, however, extend wider and deeper giving students exposure to far more topics and skills that lower-level degrees do not offer. For students that earn a college degree in Clinical Laboratory Science and Medical Technology, there are several fields of specialization that one can pursue. The options range from high school teacher, post-secondary teacher, researcher, chemist, materials scientist, chemical technician, biological engineer, and veterinarian technician, genomics, immunologist, toxicologist, virologist, biological technician, biomedical engineer, microbiologist, medical scientist, and biologist to name a few possible career tracks. What Can I Do with a Clinical Lab Tech Degree? Students earning a degree in medical technology and clinical lab technology will be equipped to find jobs in a number of fields. From hospitals to labs of all sizes and specialization, there are many options to consider. The jobs below represent at cross-section of jobs you may be interested in exploring further. When considering a career in the field of medical technology, it is important to understand what a typical day looks like. 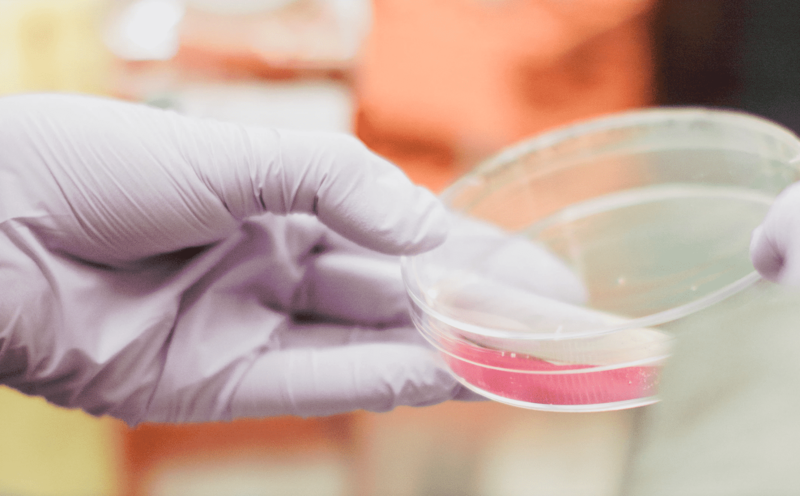 Fortunately, a recent survey performed by the Department of Labor reveals key insights into to a list of common job duties performed by a lab tech and medical technologist. We have assembled the top five most popular job responsibilities below to help you better understand the scope of a typical job in the field. The median annual income for a medical laboratory science technician is $52,280 with the top 10% earning $85,160 a year while the bottom ten percent earn nearly forty-two thousand dollars a year. The job growth in the greater Clinical Laboratory Science and Medical Technology domain are well above average. In fact, the rate of job growth for a clinical laboratory scientist is expected to rise 16% in the coming decade which is more than twice the national average. Given the broad nature of the Clinical Laboratory Science and Medical Technology degree, compensation after graduation can vary greatly from career field to career field given prior experience and geographic location. Related fields include teaching, research, genomics, immunology, medical scientist, and microbiology. For additional information about clinical lab science, visit the American Society for Clinical Laboratory Science (ASCLS), ASCP, or The Association for Molecular Pathology (AMP). These associations are trade-specific organizations that help professional learn, grow, and advance their careers in lab science.